My favourite writer this year has got to be Seanan McGuire/Mira Grant. Both her urban fantasy Toby Daye series (written as Seanan McFurie) and her zombie Newsflesh trilogy (written as Mira Grant) are awesome, and I love the unique worlds she’s created. I love that she’s made a zombie world where people actually have grown up watching zombie movies, etc (unlike most movies and TV shows where somehow nobody has even considered anything like a zombie before). So I was quite excited to hear that Grant would return to her zombie world with When Will You Rise. 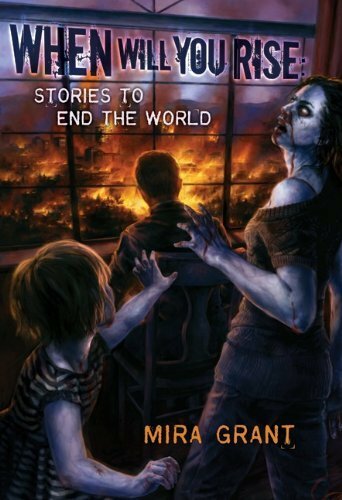 It turns out though that it consists of two stories: Countdown, a prequel novella set in the same world which takes place in the early days of the zombie apocalypse, and Apocalypse Scenario #683: The Box, which isn’t set in the Newsflesh universe. Countdown was previously available only in e-book format.